Hylands Estate is a prestigious grade II* listed public park encompassing 574 acres of historic parkland. At Hylands House, the Stables house a café, gift shop and resident artist studios. Within the park there are formal Victorian Gardens and ancient woodlands that are accessible as well as an award winning accessible children’s Adventure Playground. The beautifully renovated grade II* listed Neo-Classical elegant villa, Hylands House has meticulously restored period rooms from both Georgian and Victorian eras. Hylands House can be hired for any occasion including teambuilding activities and is open to the Public on select days. The parkland was redesigned by famous landscape designer and architect Humphry Repton. 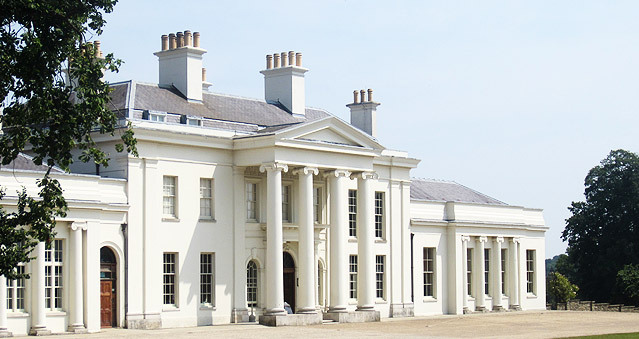 Hylands House was rescued from ruin by Chelmsford City Council and restoration was completed in 2007. Ideal for all sorts of teambuilding events, such as Stocks in the City, Mixology, The Ultimate Team Build, Get in the Zone, Real Life Clu’Doo, Escape the Box and lots more. Location: Easily accessed from the A12; Chelmsford mainline station is approximately a 10 minutes’ drive from Hylands House. If you would like to hold your next event at Hylands House, contact us on 0207 1676 717 or email us info@rightangleevents.co.uk.